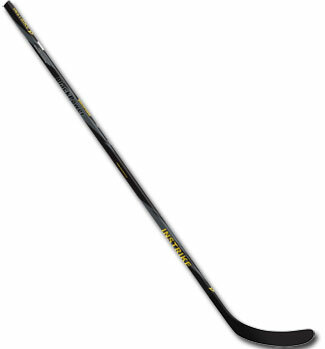 Instrike BlackPower Composite Stick - (3" longer than most of the sticks Senior with 75 Flex Instrike BlackPower Composite Stick - Finally INSTRIKE iorbestseller GreenPower and it&apos;s been worth the wait!!! And again is INSTRIKE shoulder to shoulder with the customer. All senior sticks are 63" long, so they are 3" longer than most of the sticks on the market. Actually the 75 flex stick.